Jesse Martin defeated a field of 225 entries to take down the inaugural $2,500 Mixed Triple Draw Lowball event, and in doing so, won his second bracelet along with $130,948 in prize money. The American defeated Australian James Obst heads-up and now has over $2.8 million in lifetime earnings. This result represents the fourth-largest WSOP cash of his career so far. 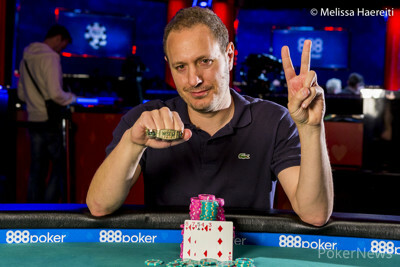 Speaking after securing the victory, Martin said that it was nice to be heads-up in games that he was used to playing heads-up. "There are certain games where I haven't played a lot heads-up, but these are games that I've thought about a lot, and I felt very confomrtable in them... I certainly got better cards, but I felt confident in all my decisions for the most part. It was nice." Reflecting on the turning point of the heads-up match, he said that there could have been a major swing in a single hand of A-5. "I had chipped up to around one million and made a six in A-5, and he made a one-better six. So that could have been a turning point for him, but after that, I just won a bunch of small pots. That got me back into it instead of sliding back." With a second bracelet under his belt and the realisation of that fact sinking in, Martin's emotions started to bubble to the surface. "I feel great [...] sorry, I got choked up for a second. I feel amazing having two bracelets. I'm more excited that it's so early in the Series. Now I can really go for a couple more this year and grab a bunch of results... Every Series I have one or two runs; coming second or win a bracelet one time. I've never had a big, big series. I'd love to have that. I'm going to play pretty much everything!" Coming into the day, it was tight at the top, with Terry Jennings leading the final table. However, Jennings would relinquish his chip lead early on to the likes of Martin. The first to be eliminated was Daniel Hirleman, who was left with fumes after a clash with Jared Bleznick in 2-7 Triple Draw. In the next game, Hirleman was all in for just 9,000, and despite drawing live into the final draw, he exited at the hands of Martin in seventh place ($12,617). After calling the bluff of Bleznick, Obst took over the chip lead for a period of time. The next elimination might have come as a surprise to many, with Day 3 chip leader Jennings losing out to Brant Hale in a hand of A-5 Triple Draw where both players made six-lows, with Hale’s pipping his opponent. Jennings departed in sixth place ($17,272). By the first break, Obst had the one-million chip mark in his sights, but Martin wasn’t that far behind him. 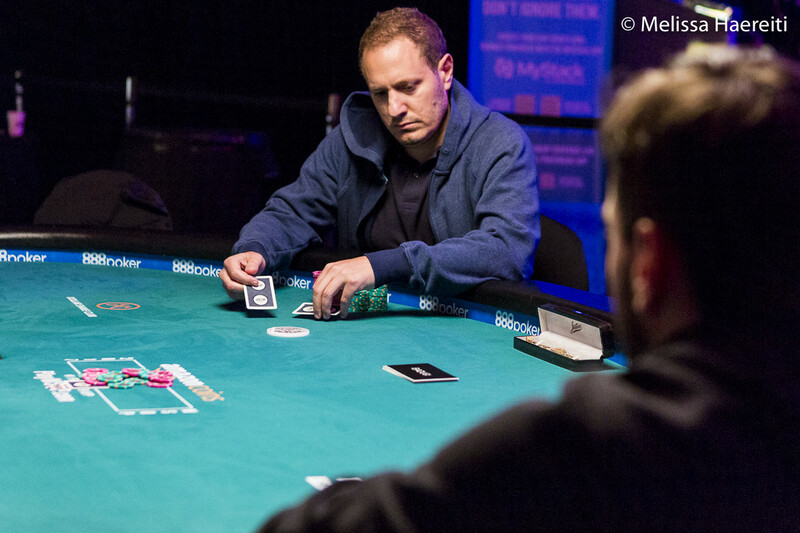 Bleznick was third in chips, but he was next to go in fifth after an A-5 Triple Draw hand against Maritn. 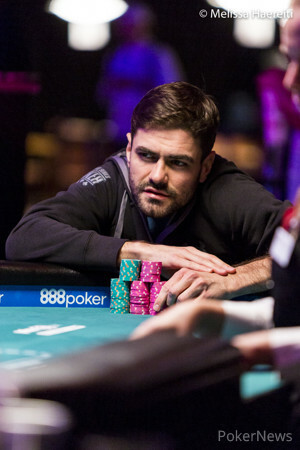 Bleznick collected $24,356 for his fifth-place finish and immediately jump in the $1,500 8-Game. Chris Bjorin fortuitously doubled through Obst twice in two hands to stay alive, meaning that it was Hale who exited in fourth. 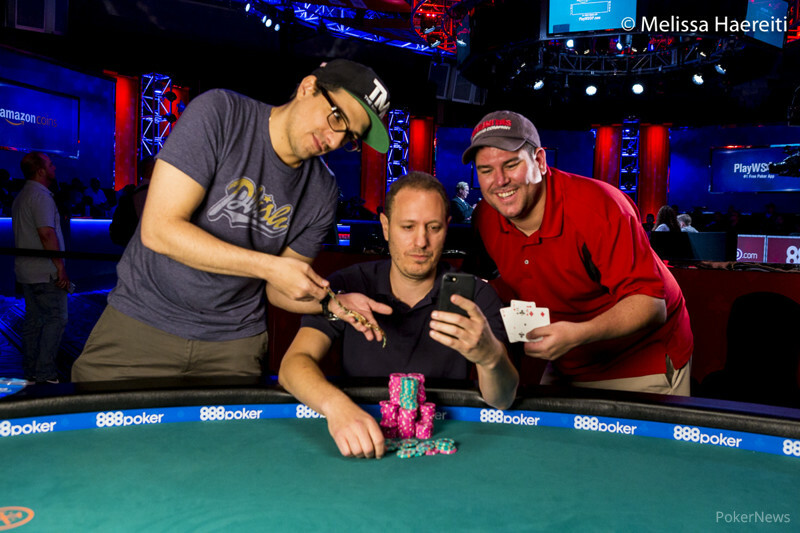 In a three-way tussle between him, Obst, and Martin, it was the latter who made a queen badugi, scooping the pot and eliminating Hale, who took home $35,349 for his efforts. It wasn’t long until the short-stacked Bjorin was eliminated, too, losing a battle of the three-card badugis to James Obst as play entered the heads-up phase. Martin held the slenderest of margins going into heads-up play, leading by just over 300,000 chips, and it was the American who had the edge over his opponent during the first few hands of play. However, the skilful Australian held his own until some key hands in badugi and 2-7 lowball forced him into some decisions for his tournament life. Ultimately, it was fitting that a hand in 2-7 Lowball decided the tournament — the same tournament in which Martin won his first bracelet back in 2013. He now has a second to join his collection, and the relief was evident on his face as he celebrated with his friends on the rail. James Obst raised, and Jesse Martin called. Martin drew two cards and Obst three. Martin bet, and Obst raised. Martin made it three bets, and Obst called. Martin stood pat, and Obst drew one. Martin bet, Obst raised, and Martin called. Both players stood pat, and Martin bet. With Obst having 30,000 behind, it looked like a foregone conclusion, but he took his time to compose himself before calling. "Eight-seven-five," announced Martin, showing . "It's good," said Obst, showing . Obst took home $80,922 for his second-place finish. Jesse Martin raised and Obst called. Both players drew three. Obst checked to Martin. Martin bet and Obst called. On the second draw, both players took two. Obst bet and Martin called. On the third draw, Obst took one while Martin took two. Obst bet and Martin called. Obst showed a pair of sevens, but Martin's hand was better. He showed and that was good to scoop the pot. James Obst raised and Jesse Martin called. Both players drew two and Obst called a bet in position from Martin. Martin stood pat and Obst drew one and again Obst called in position. Martin stood pat on the third draw and again Obst drew one. Martin bet and Obst called. "Jack badugi," announced Martin, showing . James Obst raised and Jesse Martin made it three bets. Obst called. On the first draw, both players took two, then checked. On the second draw, both players took one. Martin checked, then Obst bet. Martin called. On the third draw, Martin took one, then Obst stood pat. Martin bet and Obst called. "Straight," Martin said, showing . Obst showed and that was good to take the pot. Jesse Martin opened. Obst called. Obst took two while Martin took one. Obst checked, then Martin bet. Obst raised, then Martin called. On the second draw, both players took one. Martin bet and Obst called. Both players took one on the third draw, then checked. Obst showed for a three-card six badugi and that was good to take down the pot and regain some traction. James Obst raised and Jesse Martin called. Martin drew three and Obst two. Martin check-called a bet from Obst. On the second draw, Martin drew two and Obst stood pat. Martin check-called a bet from Obst. On the final draw, Martin drew one and Obst stood pat. Both players checked. "Nine," announced Martin, and took down the pot after spreading across the table. Jesse Martin raised and James Obst called. Obst took two while Martin took one. Obst checked, Martin bet, and Obst raised. Martin called. On the second draw, Obst stood pat while Martin took one. Obst bet. Martin raised, and Obst called. On the third draw, both players stood pat. Obst checked. Martin bet and Obst called. Martin showed and that elicited a muck from Obst, earning Martin the pot. James Obst raised and Jesse Martin called quickly and drew three. Obst drew one and Martin check-called a bet from his opponent. Martin drew two and Obst one again. Martin check-called another bet from Obst. Martin stood pat and Obst drew one. Both players checked and Martin announced, "Nine." He showed and took down the pot. Obst's stack slipped below the one-million mark. "Can We Be Friends Again?"